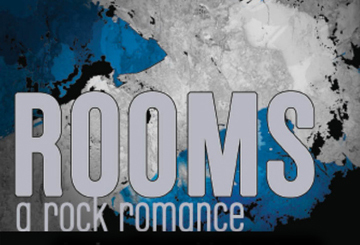 Bad Habit Productions will present "Rooms: A Rock Romance" from August 10 - 25 at the Calderwood Pavilion at the Boston Center for the Arts, 527 Tremont Street in Boston. Directed by Daniel Morris, BHP’s IRNE Award Winning Artistic Director, "Rooms" is the semi-autobiographical tale of composer Paul Scott Goodman’s own adventures from Scotland to London and New York City. with a romantic twist thrown in. Music, and lyrics are by Paul Scott Goodman with a book by Goodman and Miriam Gordon. Marking the first production of Bad Habit's seventh season, "Rooms" features Ashley Korolewski and Michael Levesque. It's the late 1970's in Glasgow as Monica, an ambitious singer/songwriter meets Ian, a reclusive rocker. The two quickly become entangled creatively and romantically. Their music takes them first to London and ultimately to New York City, where they discover the vibrant new music scene and create an intimate partnership, their love deepening even as their personalities drive them apart. A four-piece rock band accompanies these two characters as they search for the balance between ambition and happiness. For tickets and information, call 617 933 8600 or visit bostontheatrescene.com.